For the advisor, the critical issue then is actually being able to match or get close to the client’s actual paycheck. Sometimes our support team get calls from advisors who can’t get the numbers to match up so below we offer a few tips to help you match your client’s paycheck. Don’t be afraid to experiment! You may have to put on your paycheck “detective” hat to get the Paycheck tool to match your client’s paystub to the penny. If things are unclear from the actual paycheck you may need to experiment with different configurations to get it matched up. FICA and/or Medicare. The values are among the easiest to match exactly in TRAK. The only deduction before calculating FICA and Medicare are Section 125 (Cafeteria) contributions. Be sure these match. 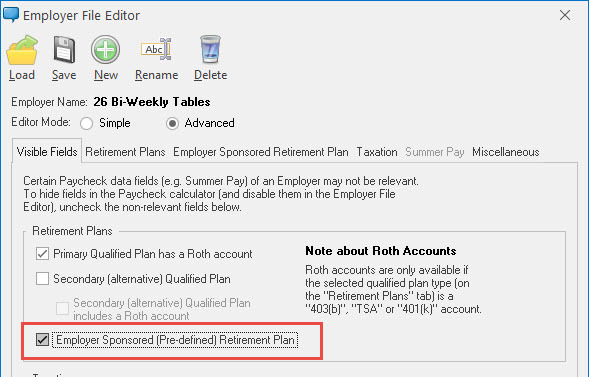 Otherwise, check that the FICA and Medicare rates are entered correctly in the employer file. Pay periods and withholding. If the numbers aren’t quite matching up the next place to look are the “# of Paychecks per Year” and “Withholding Tax Table” configurations on the Taxation tab in the Employer file. You need to be sure that you have entered the correct number of pay period your client has as well as the correct withholding tax table to go along with the number of pay periods. One area of confusion often comes when a client tells you they are paid every two weeks. They may mean exactly every two weeks (26 paychecks per year, bi-weekly tax table) or they could mean they are paid twice a month (roughly every two weeks but this is 24 paychecks per year, semi-monthly tax table). You may need to experiment with these options to find the correct one. Withholding status and allowances. For federal and state taxes (if applicable) your client will have specified their tax status and allowances on the forms that are filled out and submitted to their employer, for example the W-4 form for federal withholding. These often appear abbreviated on a paycheck as M for married and S for single with the number of allowances. If the paycheck does not list these then you may have to ask your client or experiment with different combinations. Pre and after-tax deductions. Your client’s paycheck probably lists a number of deductions but often pre and after-tax deductions are all lumped together on the paycheck. Some things will be obvious, such as the pre-tax retirement contribution but other things may not be, such as insurance, union dues, etc. You may have to experiment putting the less obvious deductions into either the pre-tax or after-tax area in TRAK to match the paycheck. Pension plan contributions. Some clients may be part of a pension system that deducts contributions from each paycheck. 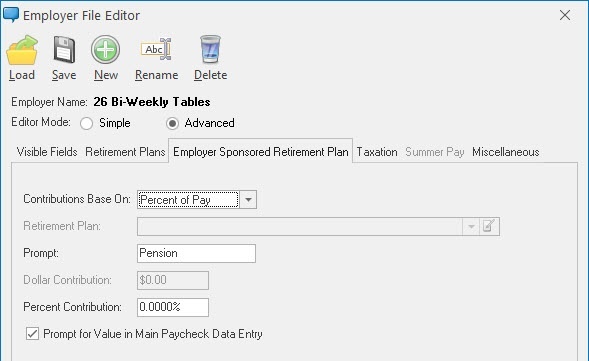 This can be configured in the Employer File in the Advanced editing mode, first by selecting “Employer Sponsored (Pre-defined) Retirement Plan on the Visible Fields tab and then by configuring the contribution on the Employer Sponsored Retirement Plan tab. These are the best places to start when trying to match a client’s paycheck in TRAK or TRAK-Online. If you have tried these methods and are still not matching the paycheck closely, our support team is happy to help you consider other options to try. The Paycheck calculator is a powerful tool for connecting with your clients and helping them see the benefits of increasing their retirement contributions as well as appreciate how increases will affect their take-home pay today.